The past week and a half has been a hectic one. Between taking care of a sick kitty, trying to plan for Thanksgiving, and what seems like a million other obligations, I've been feeling totally drained! But I wanted to leave you with a few recipes and Thanksgiving dish ideas before I sign off for the holiday later this week. 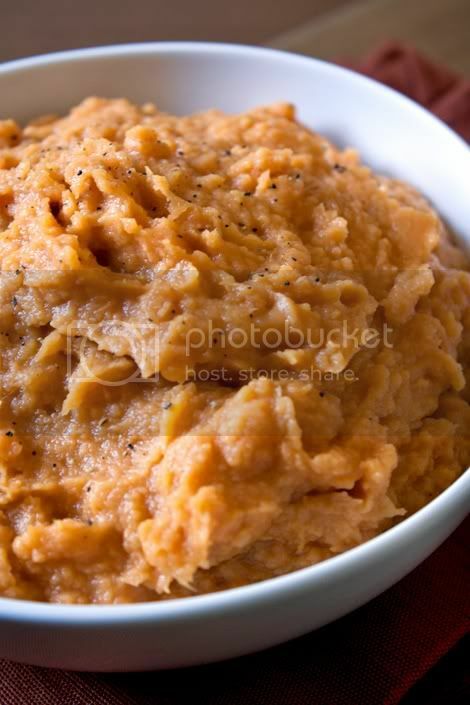 Coming up this week, a super simple Thanksgiving side dish option: Mashed Sweet Potatoes. The upcoming recipe is a veganized version of Martha Stewart's — rich and delicious. These are a great alternative to regular old mashed potatoes and a wonderful new way to incorporate sweet potatoes into your traditional T-Day meal. And for Thanksgiving Day breakfast? 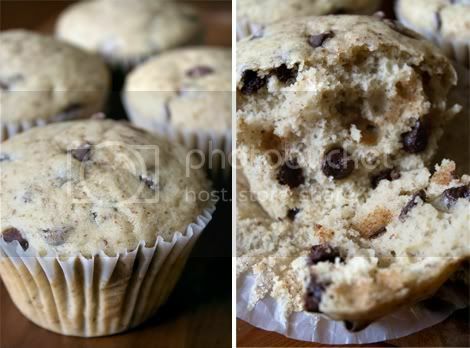 Nothing could be easier than whipping up some sweet Chocolate Chip Muffins. This upcoming recipe is what would be called a "quick" bread, for exactly the reason you'd expect. I hope everyone is having a great weekend, and I'll catch up with you next week.